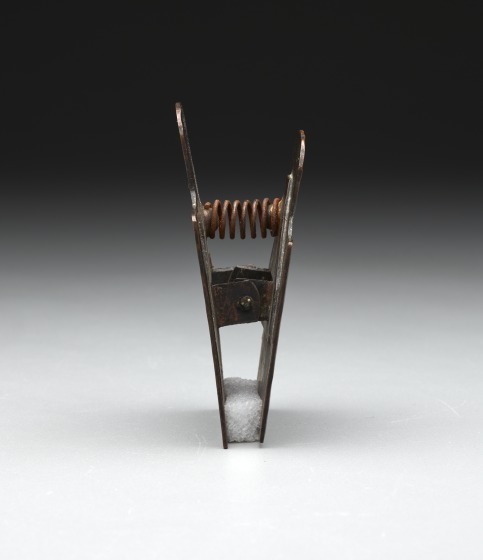 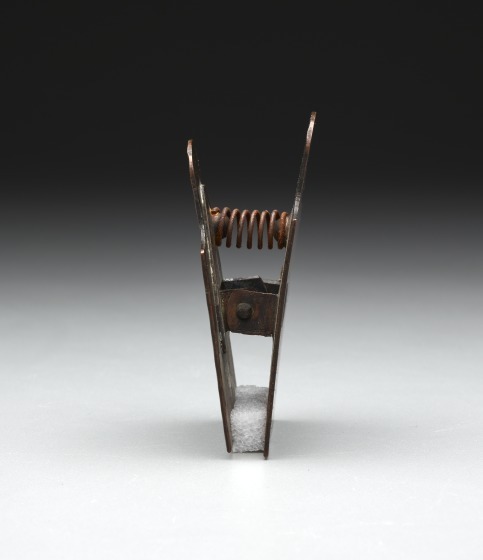 This clip is part of a desk set intended for a library or a study and was produced around 1909, when they were first offered in the Craftsman Workshops’ catalogues. 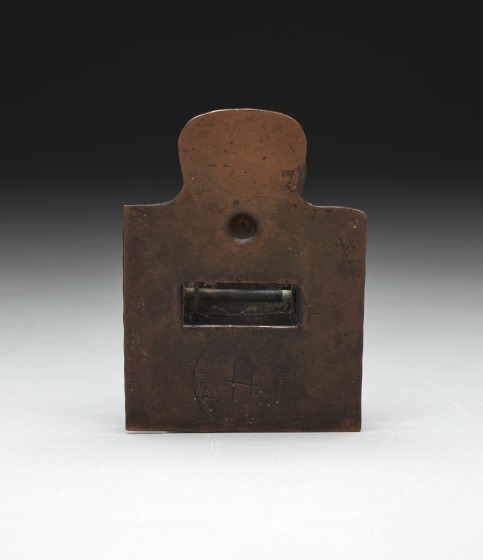 The hammer marks and rivets on its otherwise unadorned surfaces expose the processes of its making and therefore emphasize handcraftsmanship, a central tenet of Arts and Crafts philosophy. 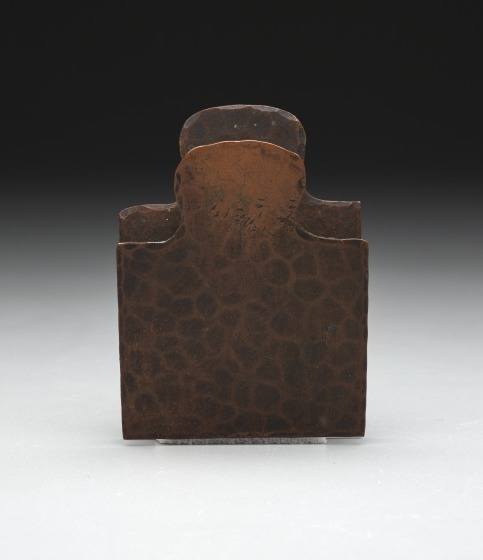 The medievalist tendencies of the movement are also evident in the original dark patina that suggests the passage of time.